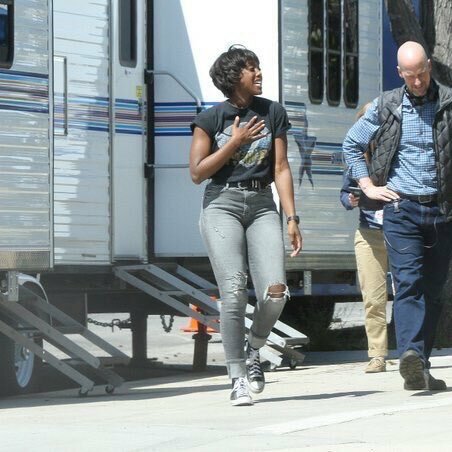 As filming for Captain Marvel, the MCU’s first female-led movie, continues in Los Angeles, the latest batch of photos from the set reveal a new look at Lashana Lynch in character as, well, we’re not sure yet as details of who she’s playing have been kept under wraps so far. 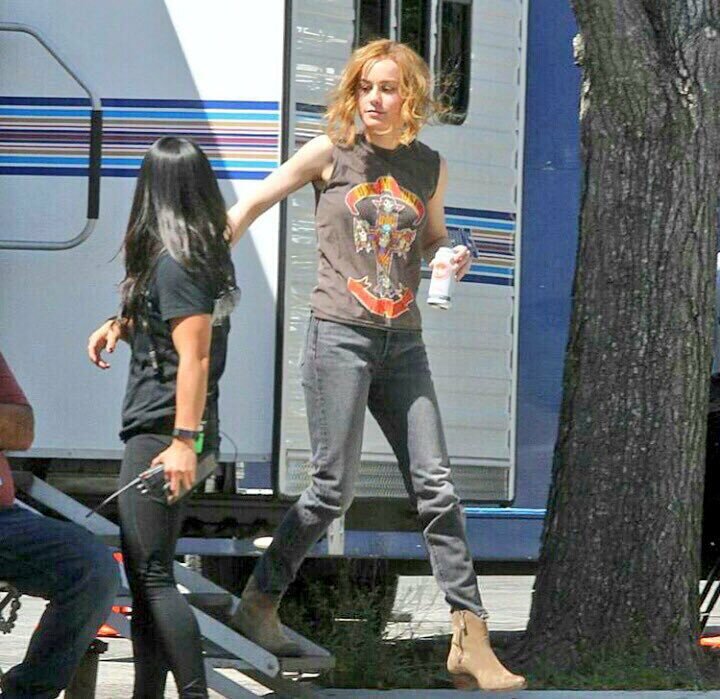 As you can see from the images below, though, it looks like she may be a friend of Brie Larson’s Carol Danvers, given that she’s wearing an outfit that’s similar to the one that Larson’s rocking. If you’ll recall, Lynch was a late-in-the-day replacement for DeWanda Wise, who had to drop out of Captain Marvel due to scheduling conflicts with her TV show She’s Gotta Have It. Rumours previously stated that Wise was playing Monica Rambeau, who’s one of the other heroes who’s gone by the name Captain Marvel in the comics. The fact that the character, now played by Lynch, seems to know Danvers only adds fuel to this theory. If Rambeau is indeed set to feature in the film, that will be three separate Captain Marvels taking part in the movie. Jude Law is also on board as the Kree soldier Mar-Vell, who uses the identity of Walter Lawson while on Earth. He was the original Captain Marvel in the comics, so the MCU is certainly honoring the history of the mantle here. The Kree-Skrull War will be an important backdrop for the film as well, with two familiar Kree villains making a return to the franchise. Namely, Lee Pace’s Ronan and his henchman Korath (Djimon Hounsou), both previously seen in Guardians of the Galaxy. Ben Mendelsohn, meanwhile, makes his MCU debut as what’s thought to be the Skrull leader. On the heroic side, Samuel L. Jackson and Clark Gregg will be reprising their roles as Nick Fury and Phil Coulson, respectively. As the film is set in the 1990s, it’ll detail how these two S.H.I.E.L.D. agents encountered superheroes for the first time, which will surely be interesting to see. And it’ll all go down on March 9th, 2019, when Captain Marvel flies into theaters.